From my childhood I always wished where ever I am I should be at my home in Kolkata for the Durga Puja. We have a century old tradition of worshiping the deity. But, this time it’s a little different. I am away from home for the first time in my life during the Durga Pujas. I am missing every bit of this gorgeous festival. If you are in Kolkata we’ll never be able to ignore the arrival of this festive season. With the start of September you can feel the Puja is nearing. All the markets and for now the shopping malls are flooded with people to buy new clothes, shoes, and house hold articles. As the big day nears, the foot paths are barricaded with bamboo pillars to control the heavy crowd. There are big hoardings of advertisements on every nook and corner of the city. With all these grandeur and pomp comes our idol. I miss those lazy afternoons sitting at my neighborhood Puja pandal chit chatting with my friends. All my relatives come to my place to worship the deity. O, I miss everything about Kolkata. There is nothing more I can do but to think about the by gone days of living in Kolkata during the Durga Pujas. So, just to make myself a little happier than I am right now, I thought of adding some special recipes for this occassion. Living in the Southern part of India, these days I come across a lot many South Indian cuisine. 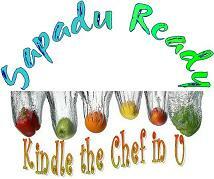 Every region in South India has got its own style of cooking. Malabar region is in the South-western part of India, facing the Arabian Sea. Lots of spices like cloves, coriander, cardamom, black pepper grow in the hilly terrain of the Malabar Coast. All their cuisine is done with these spices. 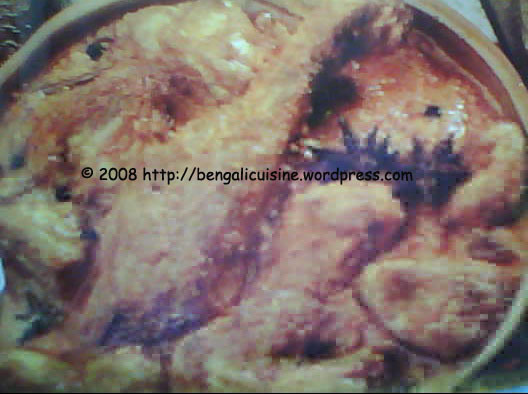 The Malabar Chicken is just one such example of the rich cuisine of this coastal region. Take out the pulp of 5 or 6 tamarind pods and dip in water for ½ an hour. With a sieve separate the pulp from the tamarind water, and keep the tamarind water for later use. Heat oil in a wok. Throw in the ginger-garlic paste, onion paste, black pepper, green chili paste and tamarind water, sauté for 2 minutes. Add red chili, coriander and turmeric powder along with the desiccated coconut. Fry till the coconut turns brownish. Add water and cook for 5 -7 minutes. Add the chicken and add water till necessary. Cook till the chicken becomes tender, adding water if required. Serve with just cooked rice and enjoy the taste of the Malabar chicken. 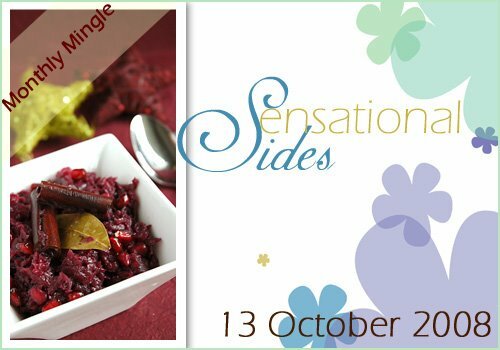 Sending this sensational side dish to Ruth’s Sensational Sides Event. Sending this recipe to Pallavi’s Yummy Festival Feast- Diwali. Happy Cooking and Happy Eating. This is my first post here in this webpage, so let’s start with some spicy thing. One of my favorite dishes – Chicken kasha. First of all clean the chicken very well, let it be under running tap water for at least 5mins. Take the chicken in bowl and then add the curd, 1 big tablespoon of ginger garlic paste, 2 tea spoons of chilli powder , 2 tablespoon of onion juice(chop one onion and grind it in a mixer) and salt . Keep it aside for 3mins. Heat the oil in a kadai, sauté the chopped onions, and garlic till they become golden brown. Keep aside one-fourth of the onions for garnishing later. Put in the rest of garlic – ginger paste into the sautéed onion and ginger, and just fry for a minute or so. Add the marinated chicken to the kadai and pour 2 cups of water. Put a lid and cook for few minutes. Check after 5/6mins whether the chicken has become got cooked. If it still seems to be stiff , add some more water and cook for sometime more. A great smell will fill up your kitchen when it’s cooked. Turn off the stove. Put the cooked chicken in a bowl and garnish it with the fried onions. 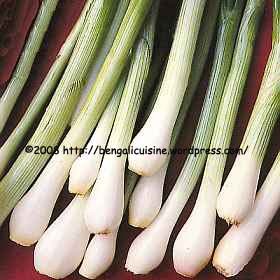 Enjoy it with rice, chapatti or paratha. Those of you who are still in love with potatoes can add 2/3 big sized potatoes to it. Cut the potatoes into one-fourth size. Fry till it becomes golden (don’t over fry it) and keep it aside. After adding the chicken, wait for 5mins and then add the fried potatoes to it.